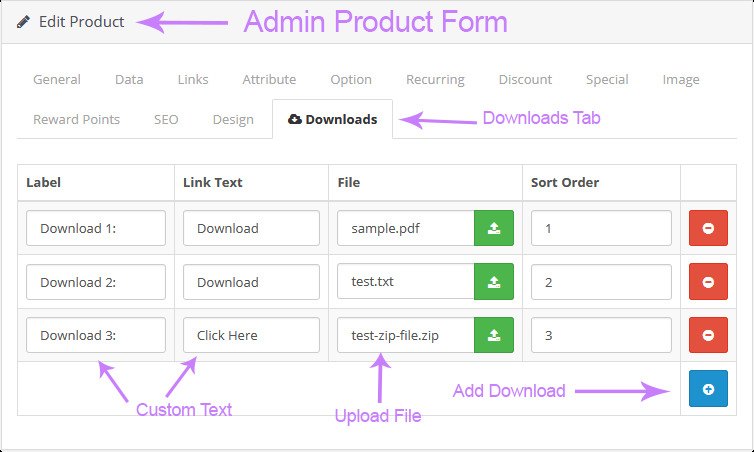 With this extension you can add unlimited downloads to any products. 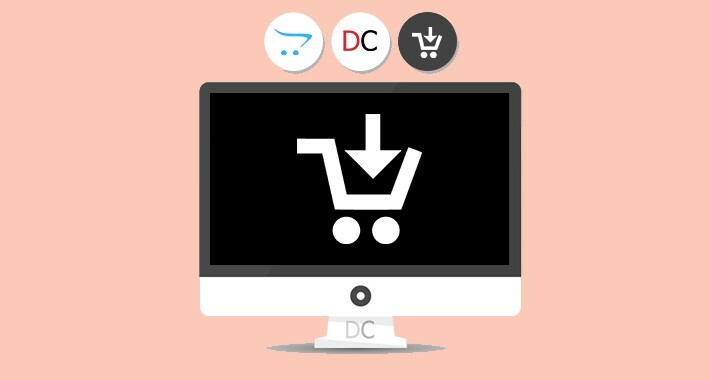 If your products have a file to download, for example, if they have a brochure or a catalog and you want to put them for download, you can use this extension. 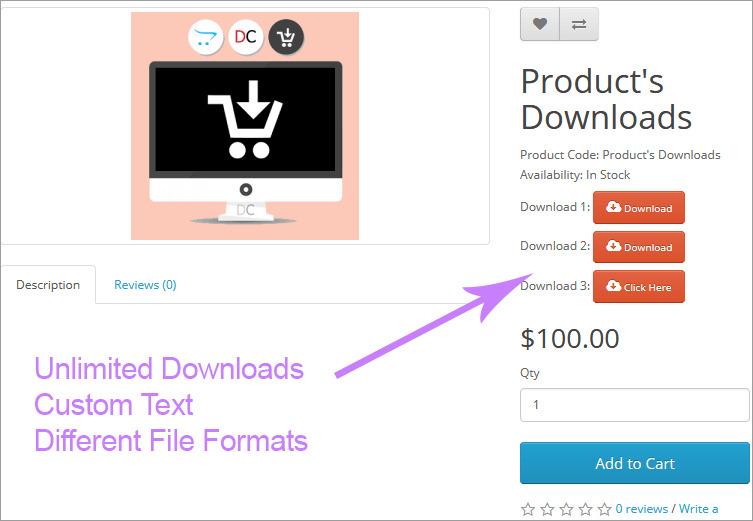 Note: These downloads are displayed on the product page for free, and users can download files without having to buy that product. This extension uses OpenCart event system. So you don't need vQmod or no need to refresh modifications.